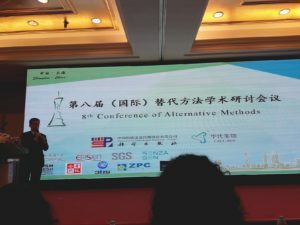 The Lush Prize was pleased to attend and present at the 8th Conference of Alternative Methods in Shanghai, hosted by the Chinese Centre for Alternatives Research and Evaluation (CCARE) during 10-13th June 2018. Day 1 saw the opening address provided by CCARE founder and conference organiser Dr Shujun Cheng, with presentations from other keynote speakers including Dr Hajime Kojima, head of JaCVAM (Japanese Centre for Validation of Alternative Methods) who provided an update on the situation of alternative test methods developed by Japan and South Korea for regulatory use; Professor Andrew Rowan of the HSUS (Humane Society of the United States) who presented on the move to a new research paradigm and Dr Sandra Coeke of ECVAM (European Union Reference Laboratory for alternatives to animal testing), who provided an overview on ‘Good In-Vitro Method Practices’. Former Lush Prize Black Box winner Dr Andreas Natsch of Givaudan also presented on quantitative risk assessment in in-vitro skin sensitisation. On Day 2, Rebecca Ram from Lush Prize presented an overview on ‘Lush Prize Asia 2018’ and the Young Researcher Asia awards. 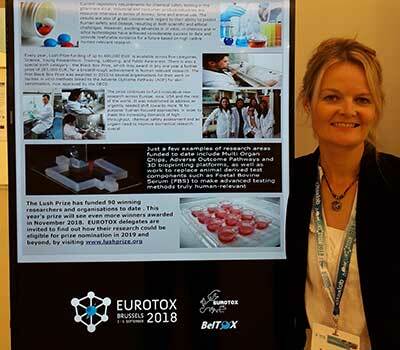 Presentations from other keynote speakers including former Lush Prize Training winners Carol Treasure from XcellR8 and the IIVS (Institute for In Vitro Sciences) as well as Dr Patience Browne from OECD. 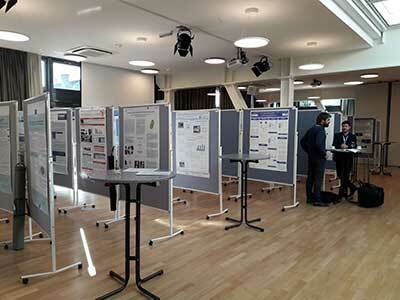 The 3rd and final day provided several sessions on ‘Theoretical Education’ and ‘Hands On Training’ in in-vitro toxicology, with the EpiSkin Academy providing practical training to researchers in Skin Ethic, Episkin and eye irritation testing methods. 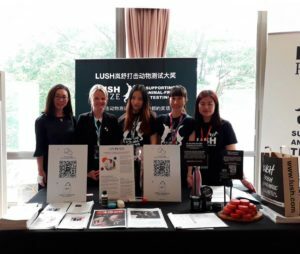 As always, the Lush Hong Kong team organised an excellent exhibition booth, engaging with delegates and provided further information on the Lush Prize categories, as well as guidance on how individuals and organisations can nominate their work. 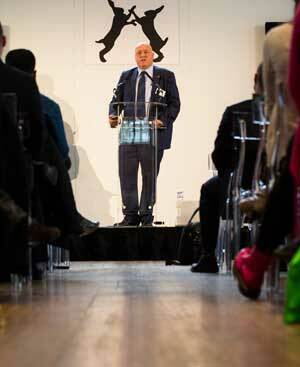 We anticipate receiving further nominations before the closing deadline of 4th July. During the event, Lush Prize Scientific Consultant Rebecca Ram and the Lush HK team also participated in an interview with national magazine LOHAS to answer questions on animal testing and alternative methods, as well as the future of the regulation of safety testing in China.